While the comparison may seem straightforward, there is much more to the story than motor carriers own assets and non-asset freight service providers–whether a freight broker or logistics service provider–do not own assets. There is so much more to the story, and by delving deeper into each entity, a company can leverage the strengths of each to optimize their logistics and supply chain to a level not thought possible. The perfect blend between asset motor carriers and logistics service providers (LSP’s) produces results that move the freight discussion from a cost center to a competitive advantage, so for that reason we are here to compare and contrast motor carriers to logistics service providers (LSP’s). As we have done in many of our comparison article series, let’s start off with the definition of a motor carrier and freight broker. After we go through the definitions, we will look into what drives both organizations, aspects you need to be aware when employing either entity to move your freight, then tie up the article on how to blend the best of each to optimize your logistics and supply chain strategy. A motor carrier is an asset-based entity that transports property for compensation. A motor carrier owns the assets and is primary on the insurance for the freight they move. 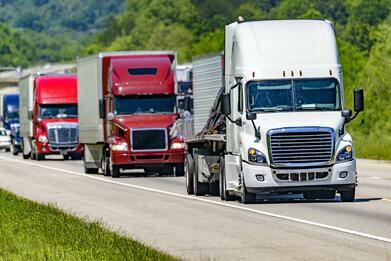 According to the US Department of Transportation there are over 700,000 motor carrier companies, with 91.0% operating 6 or fewer trucks and 97.3% operating fewer than 20 trucks. 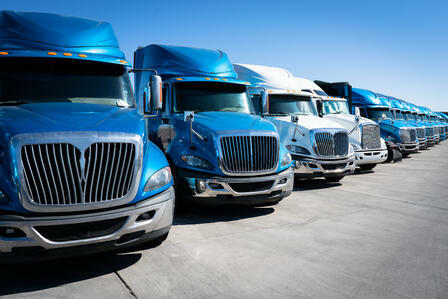 There are over 17,000 freight brokers licensed in the United States. Remember both freight brokers and logistics service providers (LSP's) operate under a brokerage authority to be legal. To determine whether your freight provider is a broker or a motor carrier and operating legally all one needs to do is go to the Federal Motor Carrier Safety Administration (FMCSA) site and input the providers USDOT and MC numbers. Before jumping into the comparison directly, it is worth noting that both motor carriers and freight brokers offer tremendous value to those companies needing to move their products from point A to point B, so please keep that in mind as you read through the remainder of this article as it is not an endorsement of one over the other. Motor carrier moves freight on the assets it owns. A carrier's main sell is freight capacity. 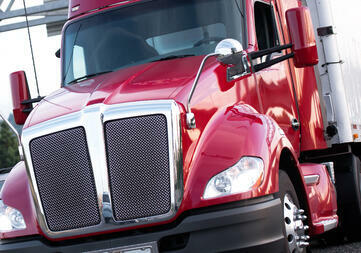 Freight brokers move freight by contracting with a motor carrier to move freight. 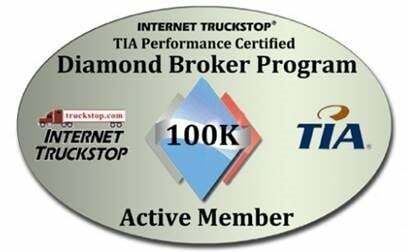 A freight broker's main sell is service. To add to this topic, a logistics service provider brings with it the same value, plus technology and further industry insight. Motor carriers take possession of the freight it moves for companies. 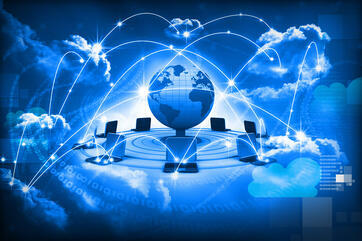 Freight brokers do not take possession of the freight it moves for companies. There is quite a bit to unpack with the concept of who takes possession of a company’s freight while it is in transit from cargo liability coverage to settlement of invoices. The concept of shipper load and count (SLC) is an important topic to bring up at this time. This is a designation noted on a bill of lading (BOL) that indicates the contents of the shipment were loaded and counted by the shipper. The shipper seals the trailer or container and signs the BOL SLC ensuring the integrity of the shipment. Ultimately SLC also means the carrier did not check or verify the count or contents, so if a discrepancy in the count received at final destination exists against the BOL, the carrier transporting the goods is not liable. A freight broker is not responsible for the freight it has moving with its contracted carrier. The ultimate responsibility lies with the contracted carrier. Now there is more to this from a legal aspect. A freight broker holds a contingent cargo liability coverage insurance policy, which protects them and the shipper if the motor carrier’s insurance policy does not honor the damage or loss. While this appears to be a belt and suspender approach to protecting your goods in transit, there is no guarantee that if the primary coverage fails that the contingent coverage will automatically pay. There is due diligence done to ensure there were not circumstances to the freight, how it was loaded, acts of god, etc. that still may cause the damage not to be covered. Before exiting the liability topic, we would be remiss if we did not cover the Carmack Amendment. This amendment was a law adopted by Congress in 1935, that is used to determine the responsible party for a freight claim. The Carmack Amendment applies to shippers and carriers involved with interstate freight. Hostile acts of military forces that are enemies of the government. The carrier can prove the shipper caused the damage from its negligence. The government caused the damage in some way. The product transported has natural defects that will cause it to deteriorate. Freight agreements can change any provision of the Carmack Amendment, so pay close attention to the wording in a carrier or broker agreement. This is by far the most important aspect of any freight agreement. The payment of a motor carrier freight invoice between a shipper and carrier is simple: once the motor freight invoice has been audited and approved for accuracy, it is the responsibility of the shipper to pay. 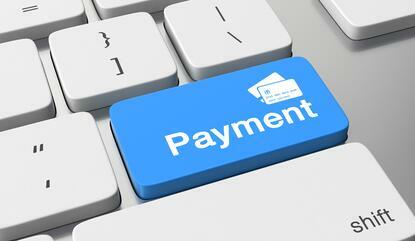 Paying a freight broker invoice is the same as mentioned with a motor carrier, with an additional twist. Since a freight broker arranges the freight on behalf of the shipper and does not take possession of the cargo the full responsibility for payment rests with the shipper and the carrier the freight broker contracted. What this means is that if a freight broker goes bankrupt and has not paid the carriers, then the shipper is responsible for the payment of the invoice whether it already paid for the load to the broker. So, in this situation, the shipper could end up paying the invoice twice, which is why it is so important to vett the freight brokers you use within your logistics department. To continue with the possibility of a freight broker going out of business, it is worth adding the industry tries to protect shippers from the above scenario by requiring the broker to carrier a minimum of a $75,000 surety bond that a company can file against if they do fall into the situation where they are being asked to pay. The Transportation Intermediaries Association (TIA) is the authority in the area as they are the industry association for brokers and logistics service providers and push members for $100K and $250K surety bonds. We often find companies frustrated with the service they find with their motor freight carriers or the freight broker or LSP they utilize for their business. 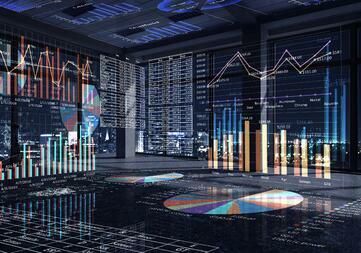 Much of this frustration can be traced back to the KPI’s of the organizations they work with. To continue this conversation, let’s look at the goals and measurements motor carriers use versus the goals a freight broker employs, then compare them against what a shipper measures. The key point you will discover in this comparison process is there are so many measurements a motor carrier holds dear that the shipper finds important to the movement of their freight. The other take-away in the comparison is a shipper and LSP goals are fairly similar. The main reason there is a difference in the KPI’s of a motor carrier and a LSP is a motor carrier has a premium on measuring its hard assets and ensures they are optimal to stay in business, while a LSP is all about measuring service because that is what it needs to excel at to stay in business. As you see from the previous statement, the measurements a company has with its logistics and supply chain is more aligned with a LSP than a motor carrier. This is not bad, but a point to keep in mind why a carrier will often not accept a tender on a given day, even though your company has contracted rates with them. So, when you are trying to align with your motor carriers make sure you walk through the key points of how best for your two companies to exist for optimal performance. 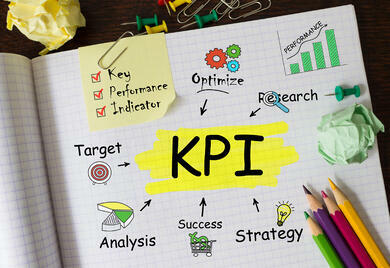 To help drive the point home on KPI’s, here is a listing of motor carrier, LSP and shipper key performance indicators. 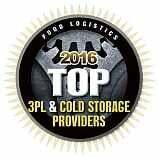 Over the years, motor freight carriers have been moving into freight brokerage and logistics service provider roles. The freight brokerage decision makes complete sense as they try to offer brokered services for backhauls on their assets, thus improving many of their KPI’s around cost and utilization. As they work with companies on filling their empty miles, they also learn of other opportunities to move freight for companies they work with for a single solution. This move upstream makes sense, and the motor carrier’s main objective is to fill the empty miles, so no real conflict of interest. Now the part that is interesting is the transition of some motor carriers to further move into the logistics space to offer managed transportation service solutions. Here there may be a conflict, as a goal of a motor carrier is to move and utilize their trucks. 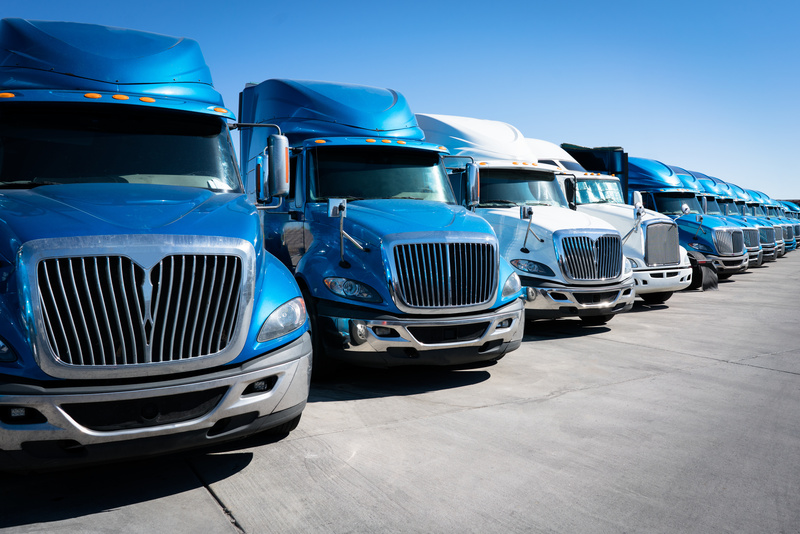 We have seen examples where motor carriers in this space say it is best to assemble a dedicated truck offering within their managed transportation service offering to ensure capacity and price. This is where the arms-length transaction that is to occur in a managed transportation service falls apart because it is well known that the freight market is cyclical and therefore the market loosens and tightens. When the market is tight, the assets are priced fairly well against the market, but when the market loosens, the shipper is still on the hook for the dedicated trucking component of the program and they cannot take advantage of the lower costs and excess capacity. Why we bring this up is to finish up with how to assemble the perfect blend of employing motor carriers and freight brokers. The best way to find the optimal goal for your company is to develop motor carrier relationships for the consistent volume lanes, then supplement the balance of capacity needs with no more than three freight brokers. The challenge for companies to first find, then establish relationships on the critical lanes depends, but keep in mind the earlier statistic that there is more than 700,000 motor carriers operating in the US. 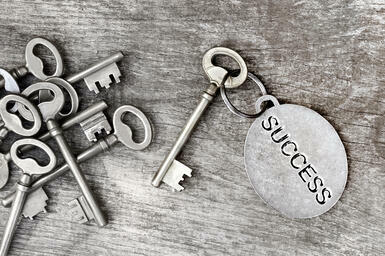 Another way to get the perfect blend of motor carriers and freight brokers is to step up your non-asset resource to a logistics service provider where they do all the heavy lifting in developing the motor carrier and brokerage relationships on your behalf through a managed transportation service solution. The cost of a managed transportation service is fairly low, quick ROI and little capital required to start the program. Hopefully you found this article helpful. We would love to be a resource for your company to consider when looking further into your logistics and supply chain requirements. We understand the process is different for everyone, but working through process you’ll surely find the best fit for your company. For more about InTek Freight and Logistics please visit website or become a blog follower for weekly content on the latest in the logistics and supply chain market.